COME JOIN OUR 8TH ANNUAL WALK IN MANITOBA. WE ARE WALKING FOR A WORTHY CAUSE!! 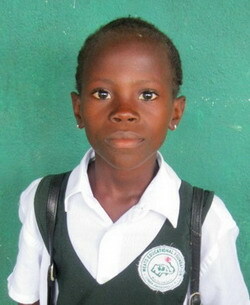 MAKING A DIFFERENCE FOR THE CHILDREN OF LIBERIA, WEST AFRICA. Last year we funded 150 students to school! We raised over 20,000 at this walk! We also funded university students, who are among our top LEADERS OF INTEGRITY in this nation. Our total Education Budget for 2014 is $60,000. “I was there again this past February and could see the difference we are making in a land where war has destroyed so much. We are helping to rebuild this nation and EDUCATION is a major KEY to opening up so many DOORS OF OPPORTUNITY. !!!!!! We are giving away prizes to those who bring in the most donations …. 1st …2nd …3rd !!!!!!!! Praying for you & ALL involved with WALK A MILE IN MY SHOES MANITOBA! (Luk.l:37) With GOD ALL things are POSSIBLE! It was an honor to take part in the Walk A Mile in My Shoes in Steinbach recently. Thank you Karen for having such a servant’s heart for the Lord. Don it was great meeting you at our Booth at Summer in the City. Thanks for coming out to the Walk!! I’d love to hear the song you wrote on Liberia! !